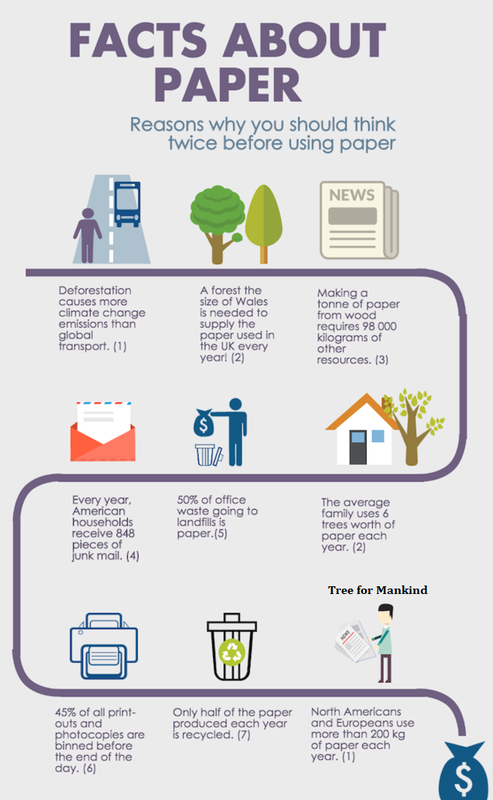 Tree for Mankind: Think twice before you print something! Think twice before you print something! 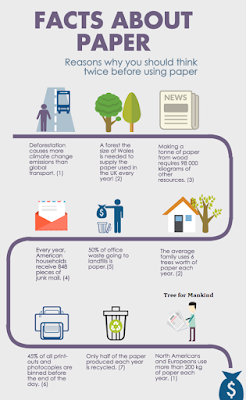 It takes 3 tons of wood to produce 1 ton of copy paper. 122ml of water for 1 sheet of A4 size paper. Think twice before you print something! Don't forget that the planet where we live is not made only for humans. Stop the timber companies cutting down thousands of trees, just because your company is used to work with paper forms. 5. Lovins, Hunter L., Lovins, Amory & Hawken, Paul ‘Natural Capitalism.’ Little Brown & Co., 2008. Quoting Liedtke C., Material Intensity of Paper and Board Production in Western Europe. Fresenius Environmental Bulletin, August 1993. 9. State of the World’s Forests, 2012. 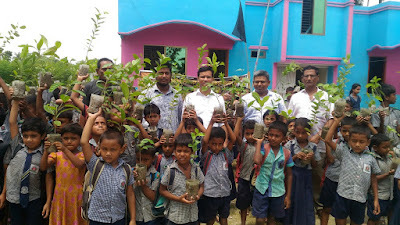 যশোর রোড: উন্নয়নের মানে কি করাতকল?